It is no secret that our house is slightly dinosaur mad. 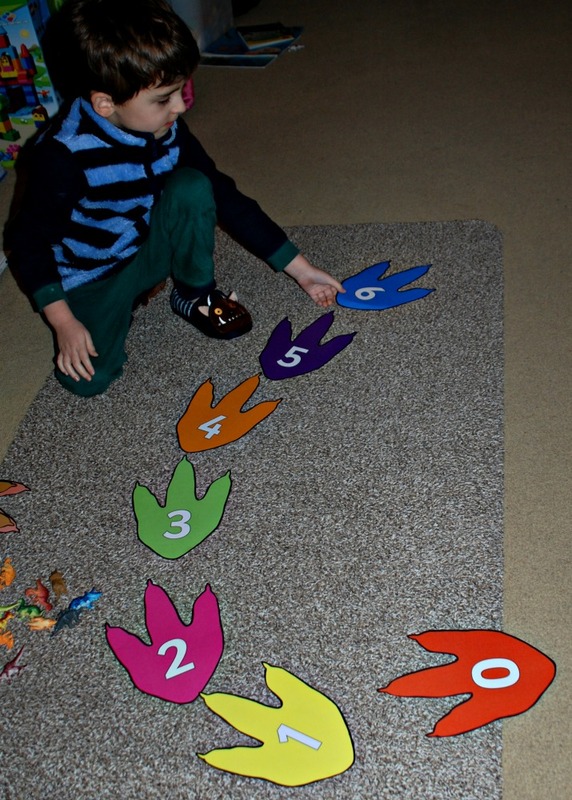 Most dinosaur related activities are big hits with both my kids so I thought it was time my youngest had a go at some dinosaur maths. 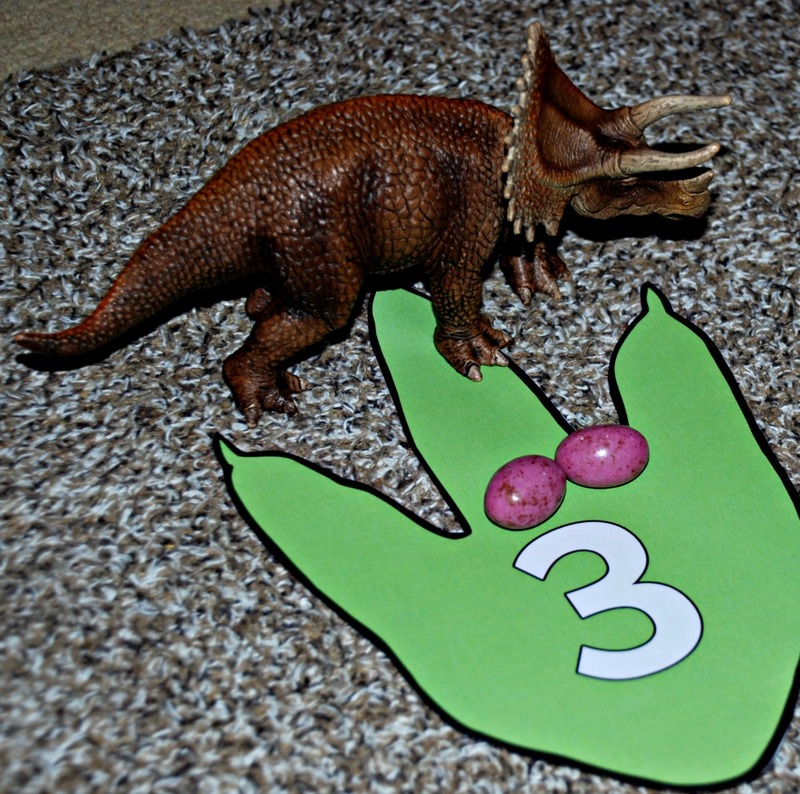 and he made sure that each footprint had the correct number of dinosaurs or eggs (speckled easter eggs make greater dinosaur eggs) on them. 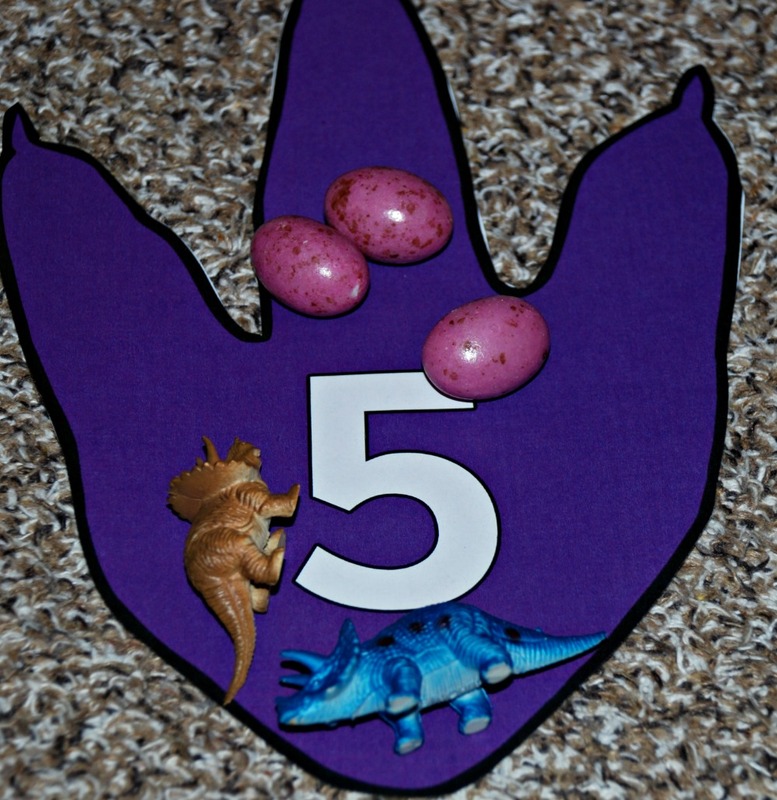 He did some using his dinosaur eggs and he did some using baby dinosaurs and he even repeated a few of them. He thought this was great. And ended up doing a lot of sums. We did stick to either adding 1, 2 or 3 at this stage. At the end he even did some basic subtraction without realising it. I told him that everyone could get 2 dinosaur eggs to eat. So he gave his sister two eggs and then he worked out that 7-2 = 5 (once he took the 2 eggs away he only had 5 eggs left). And 5-2 =3 and then lastly 3-2=1. I have a feeling our Dinosaur maths is going to be ongoing next week. This entry was posted in foundation stage and tagged foundation stage, free printables, home ed, homeschooling, ks1 maths, Twinkl. Bookmark the permalink. Hello, I love this, haven’t seen these footprints before. I think I will try to use them with my son for multiplication, perhaps jumping to get some of that energy out! 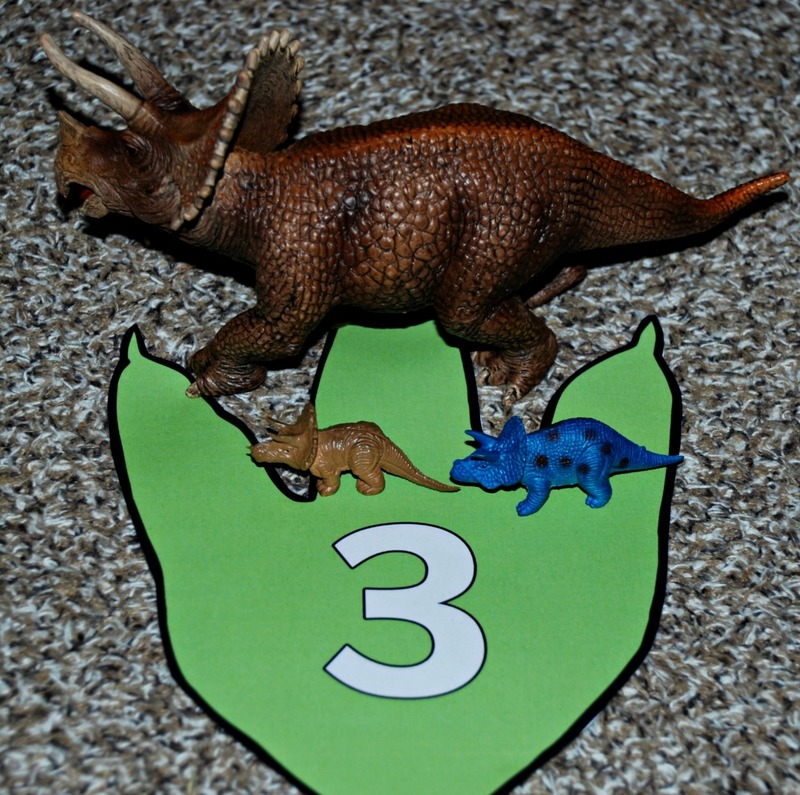 Have you seen the hatching dinosaurs number bonds to twenty, they were a huge hit with my daughter. We love Twinkl too thanks to you for introducing us and showing such creative ways of using the resources. Oh no I have not spotted the hatching dinosaur number bonds I will definately look out for them. Thanks for mentioning that. Glad you are enjoying the fun ways we use Twinkl.